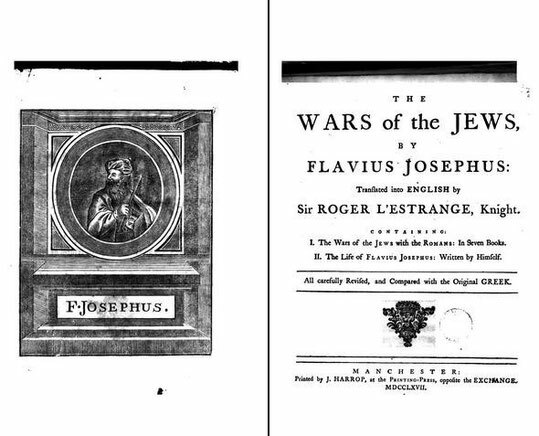 Josephus Flavius-Part I - republic-of-macedonias jimdo page! What therefore do you pretend to? Are you richer than the Gauls, stronger than the Germans, wiser than the Greeks, more numerous than all men upon the habitable earth? What confidence is it that elevates you to oppose the Romans? Perhaps it will be said, It is hard to endure slavery. Yes; but how much harder is this to the Greeks, who were esteemed the noblest of all people under the sun! These, though they inhabit in a large country, are in subjection to six bundles of Roman rods. It is the same case with the Macedonians, who have juster reason to claim their liberty than you have.